Edited by Thomas Zander. Texts by David Campany, Heinz Liesbrock and Jerry L. Thompson. Walker Evans shot the photographs collected in Labor Anonymous as an assignment for Fortune magazine, which published a small selection of 20 images in its November 1946 issue, under the title “On a Saturday Afternoon in Detroit.” Until now, however, the entire series of 50 photographs has never been reproduced. Evans’ extraordinary serial studies of the facial expressions and postures of Detroit workers walking the city’s streets are fascinating both as portraiture and as a surprising dimension of his photographic style. Shooting passersby against a plywood backdrop as they crossed his field of vision from distant right to close left (some noticing him, most not), with the light striking and modeling their features, Evans found that what he was creating with these images was “the physiognomy of a nation.” This book compiles the photographs, contact sheets, small-version printlets, Evans’ annotations to newspaper clippings, drafts for an unpublished text, telegrams and every available print Evans made, along with the Fortune spread as published. 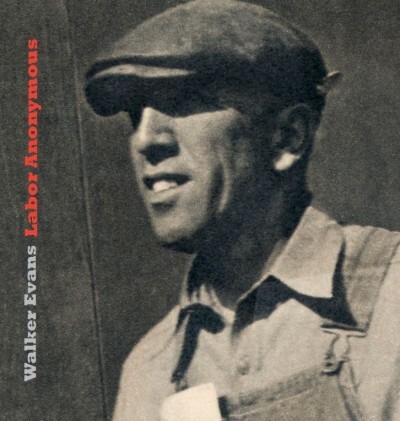 Labor Anonymous captures a long-vanished moment in American history, and a crucial project in Evans’ oeuvre.